While careful massage strokes help relax the muscles, it is organic essential oils that deliver deep, long last healing and rejuvenation to the body. 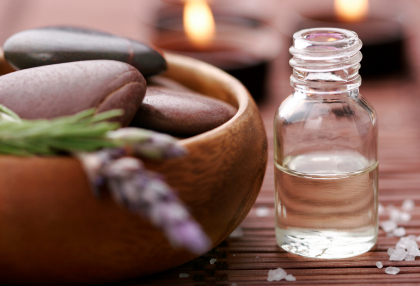 Many spas use generic oils or oil blends, however, at AuM you will be treated to custom oil blends based on your Dosha. It is these essential oils, a form of ancient plant based medicines that balance the body and heal from the inside out, leaving you feeling completely refreshed and rejuvenated. For Kapha: Invigorating Neem, and Kapha balancing essential oils of Rosemary, Frankincense, Peppermint, and other natural botanicals. For Pitta: rejuvenating herb, Brahmi, and Pitta balancing essential oils of Ylang-Ylang, Lavender, Lemon, and other natural botanicals. For Vata: infused with the relaxing herbal blend, Dashmula, and Vata balancing essential oils of Patchouli, Vetiver, Basil, and other natural botanicals.